The final whistle: A biography of Sir Bobby Robson. Part One – Langley Park to West Bromwich Albion and England. | NUFC Blog. Robert William Robson 1933 – 2009. “I have accepted what they have told me and I am determined to make the most of what time I have left. I am going to die sooner rather than later. 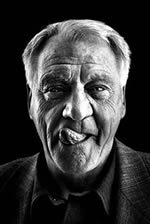 But then everyone has to go some time, and I have enjoyed every minute.” – Sir Bobby Robson. Quite so, for he had a life affirming quality that made him respected and loved by almost everyone he came into contact with, and he relished it. The following is a biographical tribute to Sir Bobby, who will be sadly missed in many parts of the world. Young Bobby with the Langley Park juniors. Robert William Robson, or ‘Bobby’ was born on the eighteenth of February, 1933 in Sacriston, County Durham. A miner’s son, Bobby himself would have been destined for a for a colliery life as an electrician with the National Coal Board, had he not honed his football skills for many an hour kicking lumps of coal, tennis balls or anything else that came to hand, or rather, foot, around the streets of Langley Park, the Durham colliery village where he was raised by Philip and Lilian Robson. 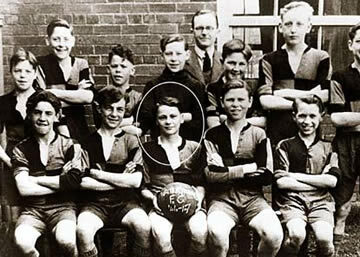 But, alas, Bobby was never to play for the team he supported as a boy. Bobby's belta! 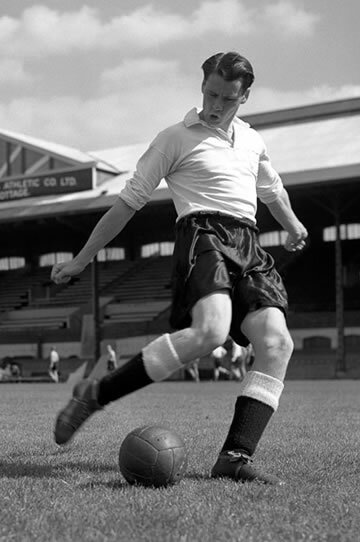 Robson at Fulham, 1953. As the years progressed, the lad kept at it, and it became even more apparent that young Bobby was blossoming into a highly talented and versatile attacking player with a massive right hoof, and, as Bobby said himself, a good, powerful head. His rise was rapid. Following a short spell at Middlesborough as an amateur, the word about the talented young Durham spread far and wide. 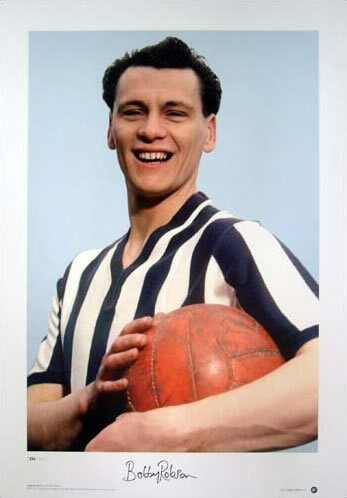 This finally resulted in the then Fulham manager, Bill Dodgin, making a personal visit to the Robson household in 1950, and Bobby had his first major contract at seventeen. Newcastle United were also said to be in the hunt for him at this time too, however Bobby later recalled that United “made no appreciable effort to secure my signature”. “A nice club, a social club; but never a serious championship challenging club”. Also during Robson’s Fulham years, he played with another highly influential footballer who was, like Robson himself, also destined to become a national football treasure in later years, Jimmy Hill. Jimmy’s influence as head of the PFA (Professional Footballer’s Association) and his successful campaign to abolish the maximum wage for footballers (then £20) was to have a major influence on Bobby’s eventual departure from Fulham, gaining him some much needed financial security at West Bromwich Albion, who were a more successful club at that time. Haynes also owed thanks to Hill, as he subsequently became the first player to earn the grand sum of £100 per week! Fulham was Bobby’s great entry in the football world, however it was something else that happened to Bobby during this period that was to have the greatest impact on his life. It was while playing at Fulham in 1955 that Bobby married the great love of his life, Elsie. They stayed together for life, eventually having three children, Andrew, Paul and Mark. Robson at his peak as a player. West Bromwich Albion and England. Bobby’s career continued at West Bromwich Albion from 1956, and it was here where met someone else who was to have a huge influence on his future career, his friend, teammate, and future right-hand man, Don Howe. It was Howe who persuaded the still young Robson to attend a coaching course held by England manager, Walter Winterbottom. As William Shakespeare once wrote in Julius Caesar “There is a tide in the affairs of men, which, taken at the flood, leads on to fortune”. This was undoubedtedly one of Bobby’s great tides of destiny, and he made the most of it. Although the Midlands team won no major trophys while Robson played there (they won the FA cup two years before Robson’s arrival), he gained 20 England caps while here, and played in the 1958 World Cup. Unfortunately for Robson though, he was to miss out on the 1962 finals in Chile through injury. Perhaps the greatest highlight of his England career though was the 9 -3 demolition of Scotland at Wembley in 1961, where Robson scored a fantastic goal with that massive right hoof of his, and a young Jimmy Greaves scored a hat-trick too. Perhaps most importantly of all though, it was here that Bobby sowed the seeds of a future management career, a career that would eventually take him on to even greater fame, making him one of the most revered, respected and loved figures in European football. Somewhat ironically though, the man who was arguably his great nemesis as an England player was to be another North Eastern legend called Bobby. I am of course referring to Ashington’s very own Bobby Charlton, the nephew of Robson’s boyhood hero, Milburn. However, The Langley Park Bobby later had his revenge when you compare their respective records as managers. Charlton had a short spell at Preston North End, then decided that management wasn’t for him. Well put together worky. I’ll never tire of reading his story. Hope you have some footage of him talking about footy and his anecdotes. Something else I’ll never tire of. Yep, top quality post Worky. Brilliant post. Makes me want to go back and read his autobiography again.